HD formulas used in this powder, help provide a flawless finish on HD cameras and in everyday life. Invisible HD Face Powder is a mattifying loose powder formula, that feels light and weightless on skin. I got this face powder since I'm enjoying my other ND products (eyeshadows, lipstick palettes, her foundations plus primers). My skin type is oily and a medium-deep colour. The medium dark powder blends well with my skin colour, there's no ashiness. 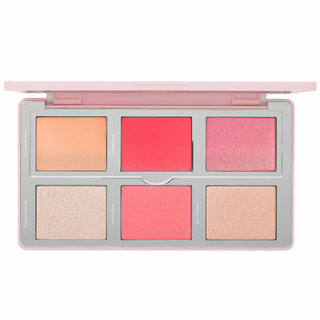 I apply it after colour correction/concealing and/or foundation. Have not used it alone over moisturizer. The loose powder comes in a standard jar with an inner rotating lid that has small holes. You can control how much powder to shake out and rotate the inner lid to close the holes, so there's no risk of opening the outer lid and being welcomed by a cloud of excessive powder. I am surprised at how it keeps my skin relatively matte throughout the day. 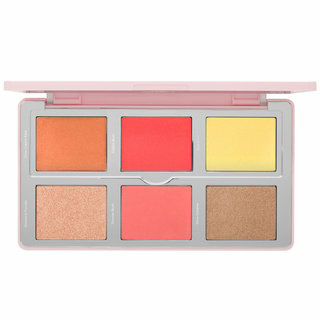 Don't have to use any blotting powders at all. I wear it over my ND glow foundation (colour shade #75). Yes, the face powder takes away the overall glow of the foundation but in colder months, I prefer a matte look. The powder doesn't cause any cakiness or creasing of my undereyes over my concealer. No uncomfortable dryness. I don't do any sandbagging or baking in my application method, so not sure how the powder will fare for those who use these techniques. I just dust powder on lightly with my face brush and gently buff + blend. The powder is similar to a discontinued Estée Lauder loose powder I used years ago (no, I'm not old + elderly ☺️ just not technically young anymore 🙃). It's also similar to the finish you get with the MAC Studio Fix Powder Plus Foundation. I didn't give the product 5 stars simply because my Charlotte Tilbury Air Brush Flawless Finish powder gives a more soft, smooth finish. It's my favourite powder to set my make-up with, however, the CT powder is not as mattifiying as the ND product. For years I have been trying to find a powder that does what it says it will. 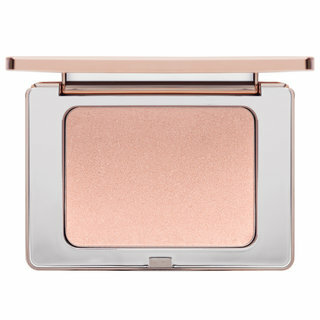 Obviously there are many great powders out there, but my T-zone was too shiny for the ones I experimented with. 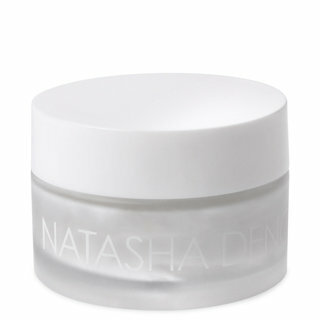 Then I discovered Beautylish, and that lead me to the Natasha Denona powder. I don't know if it's because it's for HD, or what, but the second I put it on, my face looked matte all over. Even better, it lasted longer than the others. I know the main ingredients are found in other powders, but this one really does the job. No more shiny nose! It's expensive, but it doesn't take much to cover my whole face. Hope it works as well for you! I been wanting to purchase a setting powder for awhile and I gave myself some education on YouTube and truly I was getting overwhelmed by all the different brands out there. So i went ahead and viewed the ND tutorial on YouTube and I was very impressed in the application. I when ahead and purchased it and I was very impressed with the application and the long wearing. About few weeks ago I went to Universal Studios in Hollywood and I took the Jurassic Park ride. After being soak couples time in the ride I was worried about my makeup running down but great thing after getting off, my makeup was still intact and still flawless. I was super impressed even more. FYI: I have oily face so what I do to prevent from ruin my day, I set my face with ND powder very lightly just to eliminate the shine. Then I apply my makeup and set it with ND going very generously all over my face. It helps control my oily face through out the day. For real. ✔Purchased this product about 2 months ago.